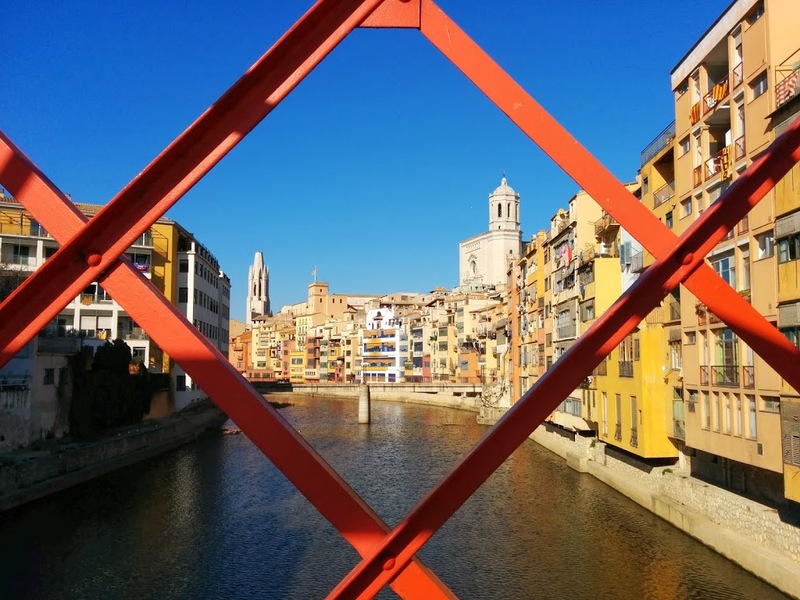 The image I kept of Girona after two weeks later my visit is its mirroring in the gold washed face of the Onyar river. 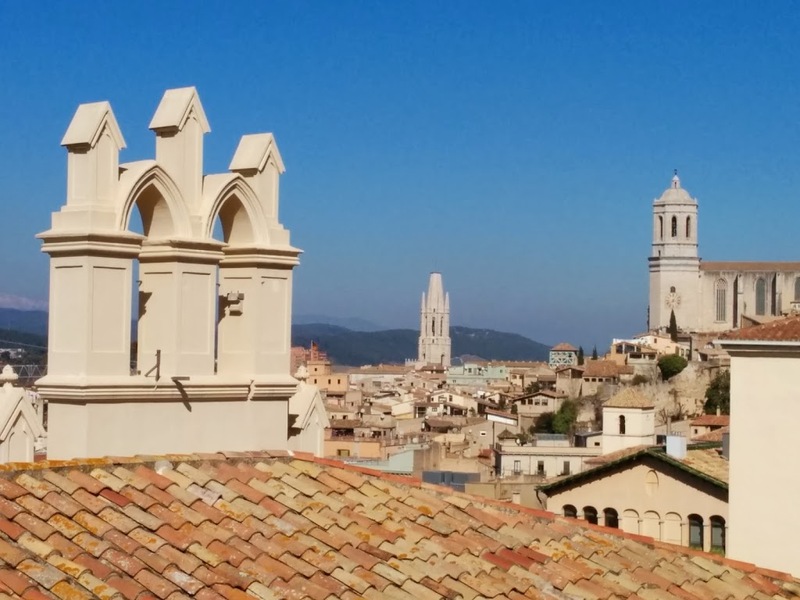 At 99 km away from Barcelona, tucked in between the highlands of Catalonia, Girona is a great day trip destination. When planning your trip you can consider taking the high speed AVE train from Barcelona Sants station as it will get you there in 35 minutes, earning you a full hour in your agenda. The town is not big. It is easy to negotiate your way from one side to the other on foot. 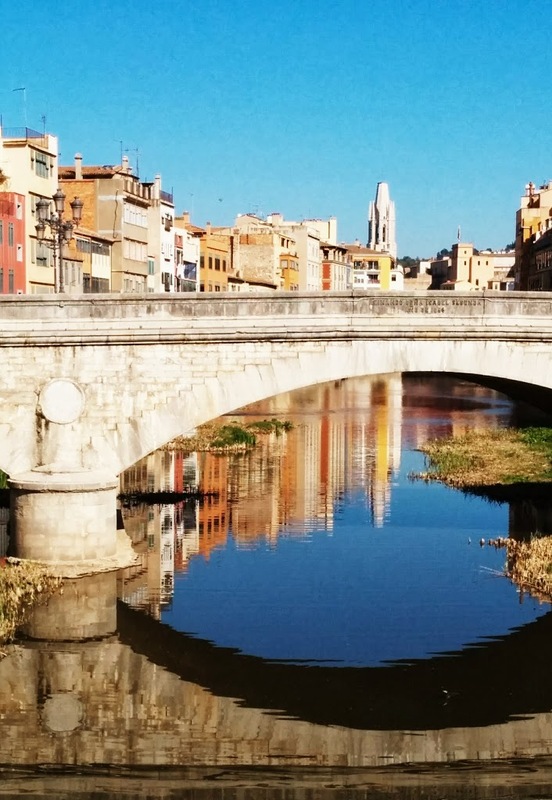 Start with the iconic view of the old town from one of the bridges over the river Onyar: Placa de Catalunya, Pont de Pedra (1856) or the red iron bridge (Pont de les Peixateries Velles) buit by the Eiffel company in 1827. As the river seems to follow the West-East direction, you will surely benefit of the most beautiful light for your photographs in the morning hours. 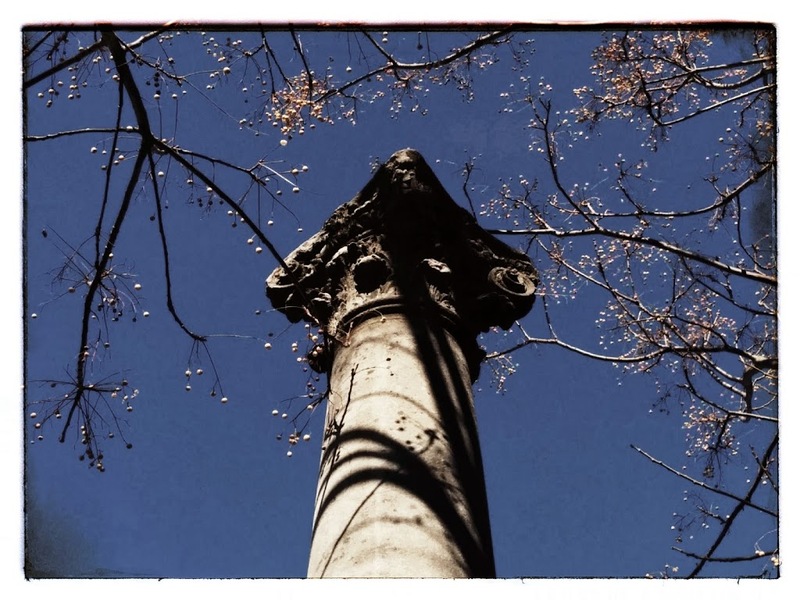 With the same consideration in mind it is a good idea to start exploring the city skylight and landmarks following the trail along the Roman and Medieval walls. 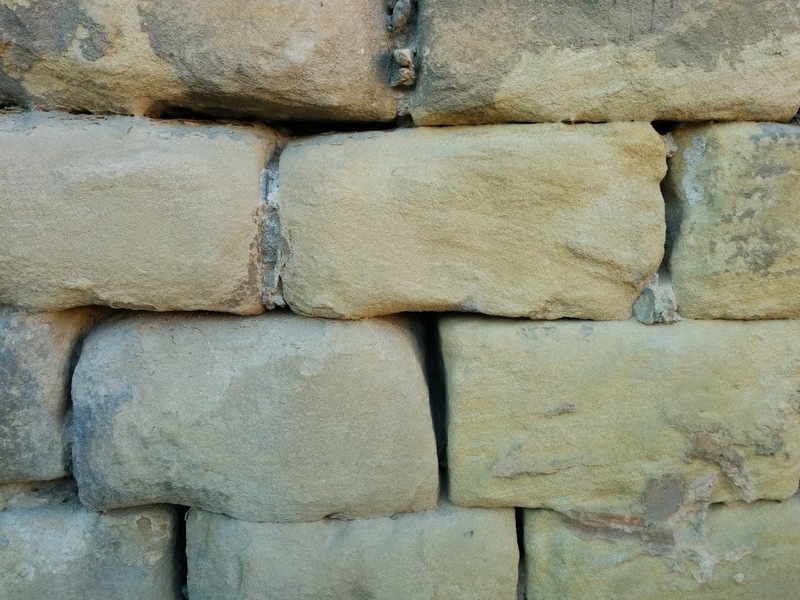 This stone belt is the testimony of a continuous tango of civilizations and battles started by the Iberians, then the Romans, the Visigoths, the Moors, the Catalans, the Franks, the Spanish and the French. Start on the Eastern end near Placa del General Malva. As you do the walk notice the beautiful bell towers with the snow capped mountains in the background. 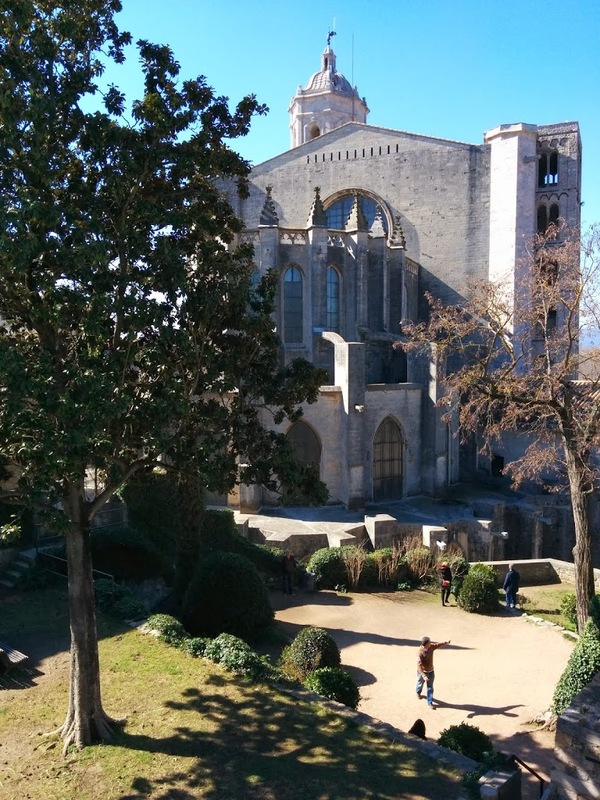 If you have a book to read or simply wish to have a break from marching the walls, there are two atmospheric gardens you can relax: Jardins dels Alemanys and Jardins de la Francesa, the former located by the Cathedral. 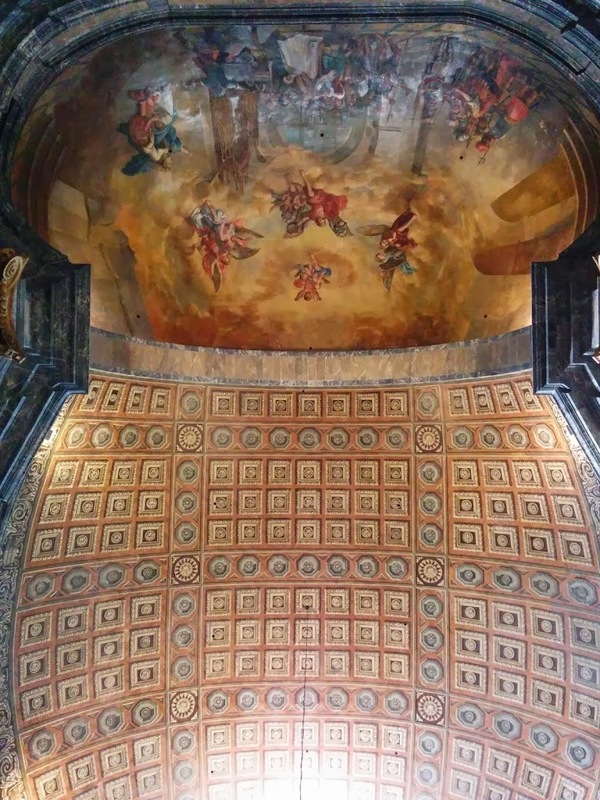 The Cathedral is just a large canvas that displays the fashion of building and decorating interiors starting with the XIth century. 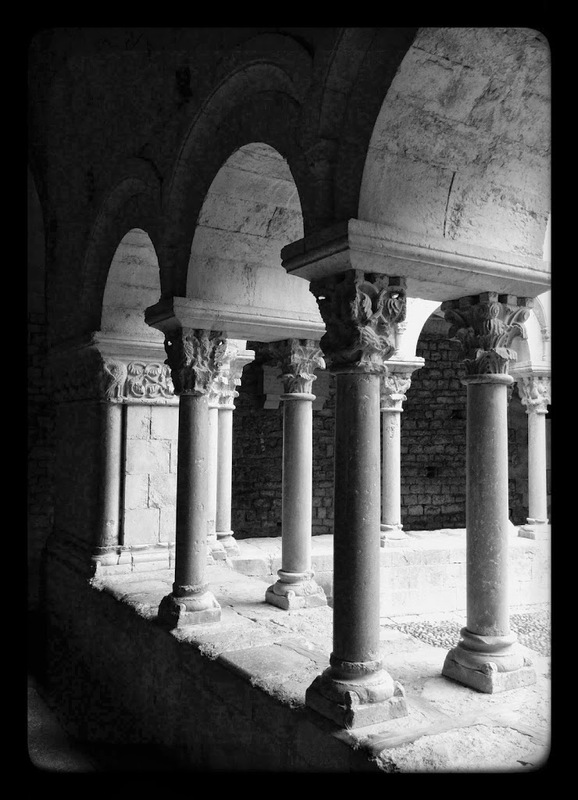 The Romanesque cloister (XI-XII centuries) encapsules a beautiful colonnade and a much cooler air with a dimmed light. 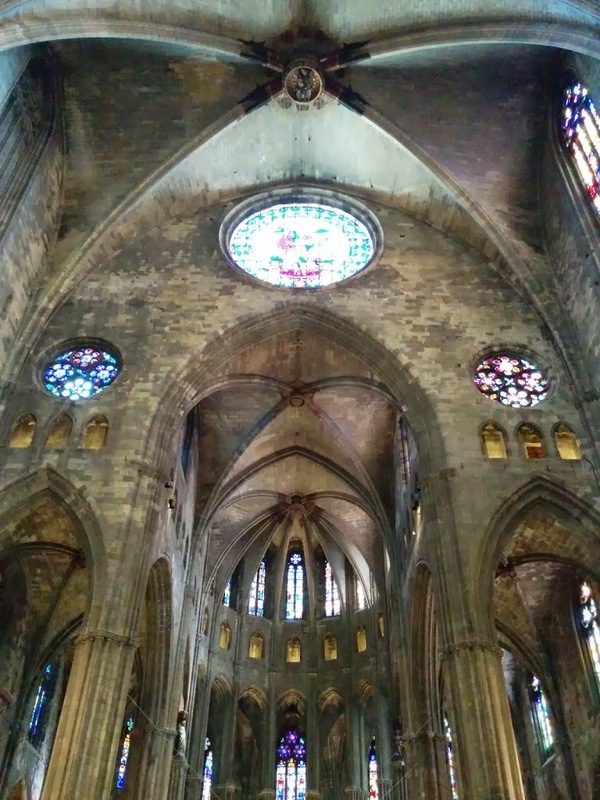 Following the inventory of outstanding elements of the Cathedral I’d pay attention to the widest rib-vaulted space in the world – the 23 m wide Gothic nave and to the Baroque facade and 86 steps. 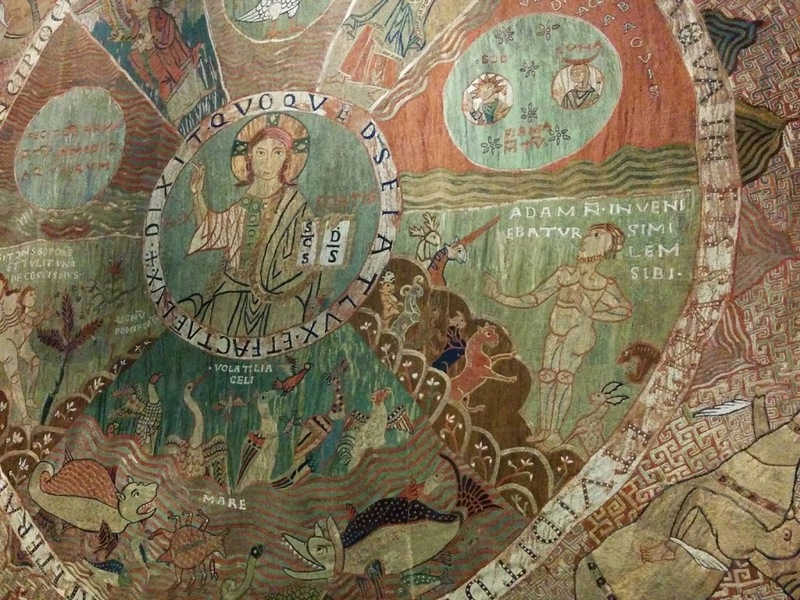 Don’t leave until you haven’t seen the +1000 year old Creation Tapestry. It seems a detailed story book about the Genesis, the split between the waters and the lands, Adam searching for a partner, Eve’s birth, the 4 winds, the months of the year, the sun, the moon, the rivers of Paradise and stories of the Holy Cross. 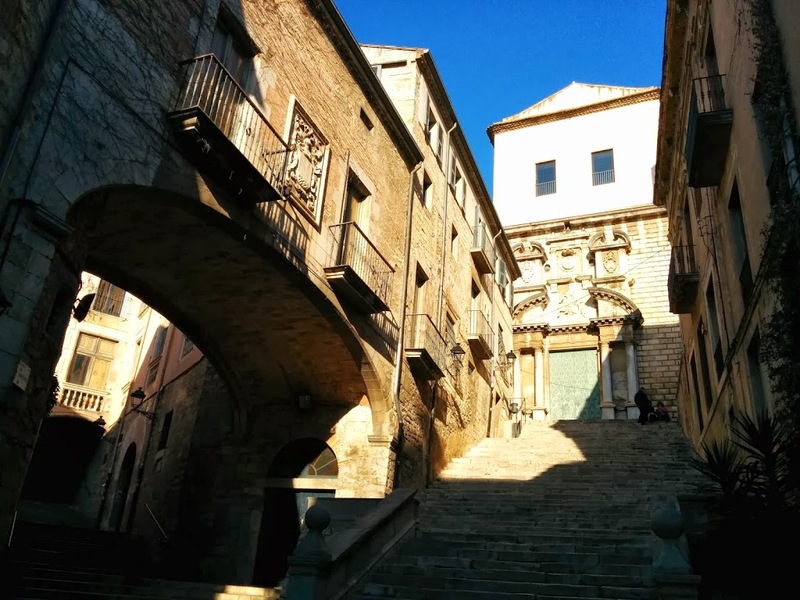 Literally next door there is the Basilica of Sant Feliu with a Romanesque interior and 8 pagan and early Christian sarcophagi (IVth century) worth a glimpse. At this point you may be oversaturated with history, architecture and your belly may ring the heavy bells of hunger, so time to go downhill for a lunch break. 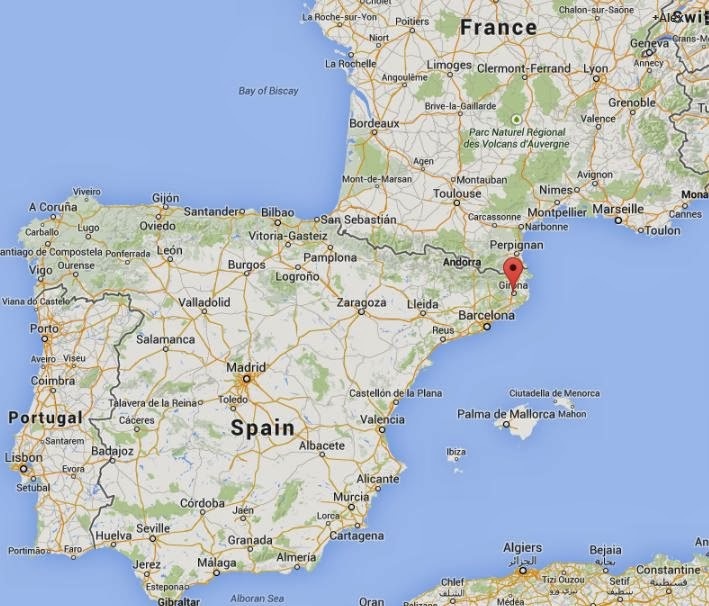 Speaking of lunch it is important to mention that you are in the town that hosts the most famous restaurant in the world: El Celler de Can Roca. Ran by the 3 Roca brother, it is a place that promises “magic without theatrics”. Head chef Joan spread the use of sous-vide cooking in the ’90s, Josep is the head sommelier and Jordi is the rule-breaking pastry chef. Their stand-out dish: “Charcoal-grilled king prawn, king-prawn sand, ink rocks, fried legs, head juice and king prawn essence”. Bookings are done at least one year in advance. If you missed this opportunity there is a sweet alternative: their Rocambolesc ice-cream parlour in Carrer de Santa Clara 50. 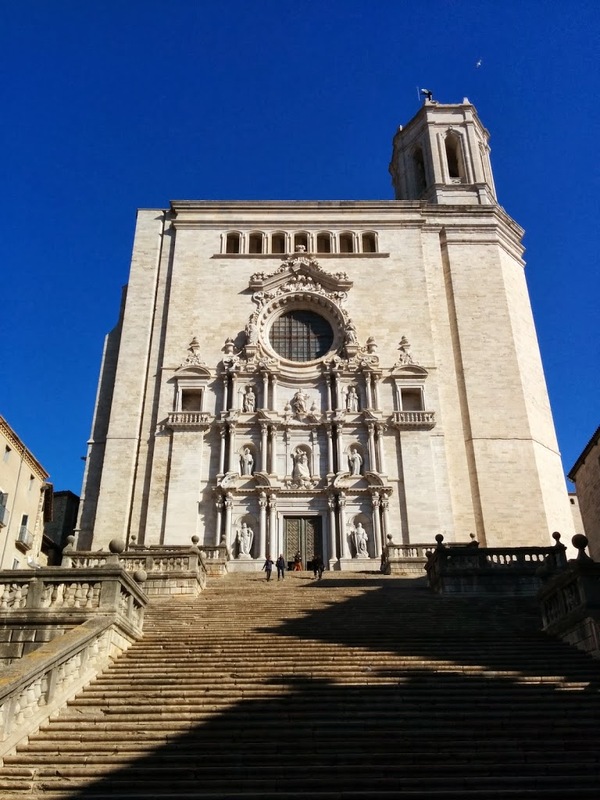 Sundays in Girona are very calm. 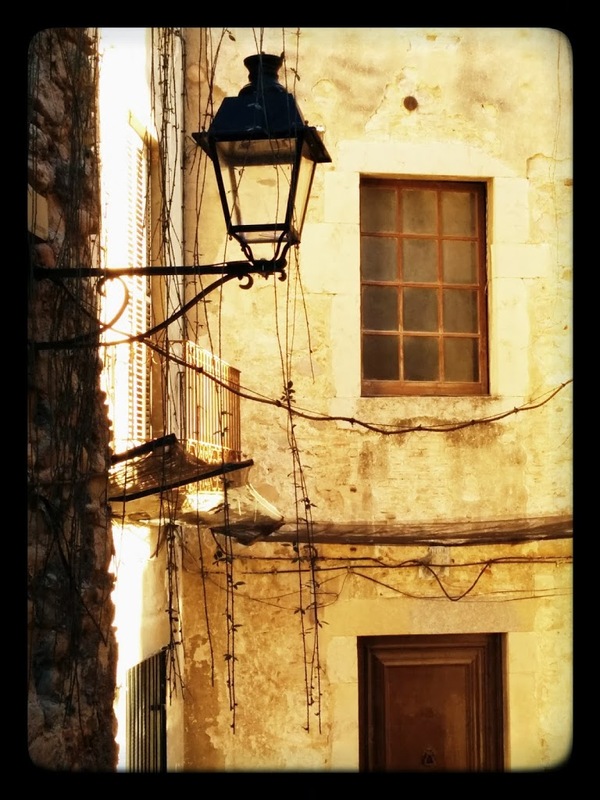 Most of the shops are closed so you can just wonder around the former Jewish quarter and get lost through the narrow streets, squares or openings of the medieval town. 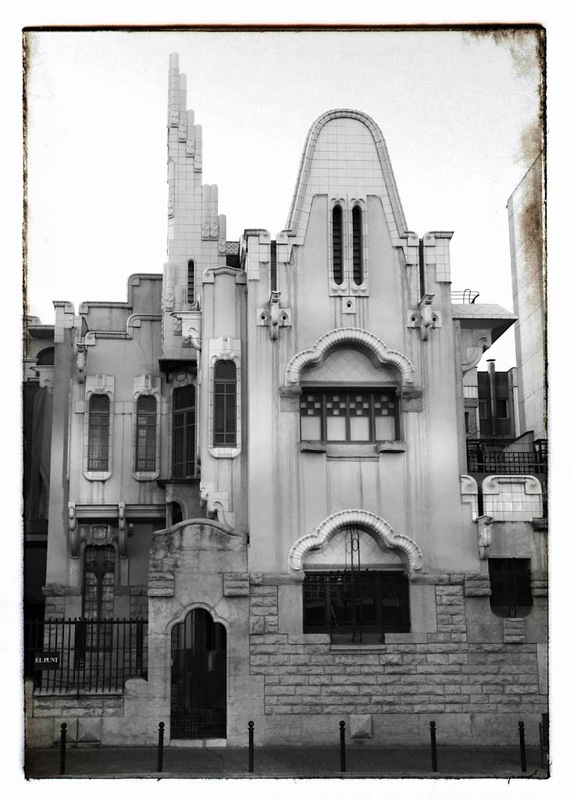 Before ending your day you may want to see the dream-like cut house designed at the turn-of-the-century by the local architect Rafael Maso’: Farinera Teixidor (1910-1911). 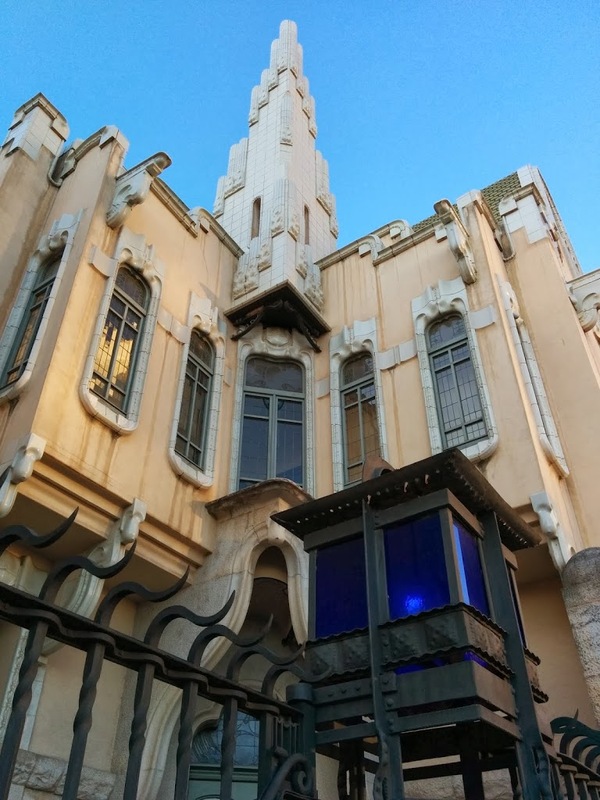 It was built under the influence of Gaudi, Mackintosh and the Viennese Secession school. 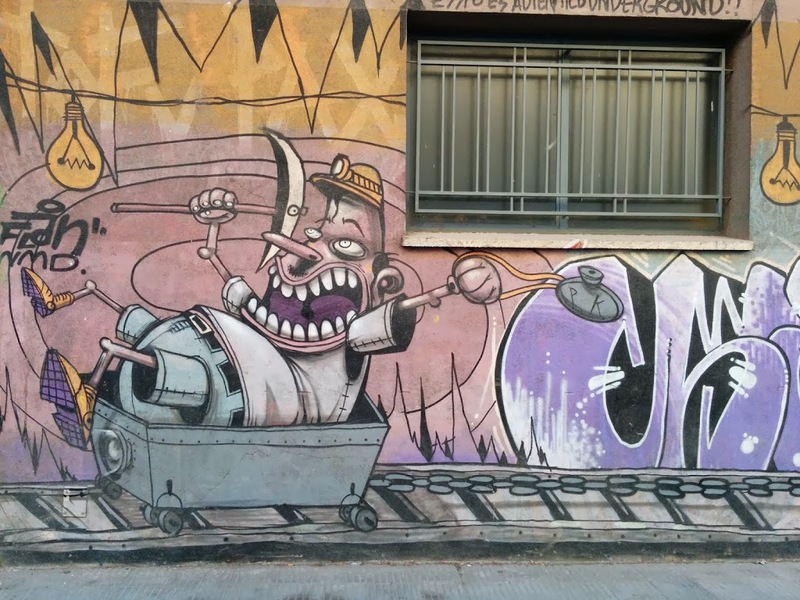 Its location just behind the railway station makes it a nice memory to reflect and take back to Barcelona. Wonderful,,,as always Alex… its on my list!